The village of Banoštor is one of the eldest settlements in the Province of Vojvodina. Nested in the northern slopes of Fruška Gora, at the very riverbanks of the Danube 28km away from Novi Sad, this village has been renowned for good wine and fishing since the ancient times. 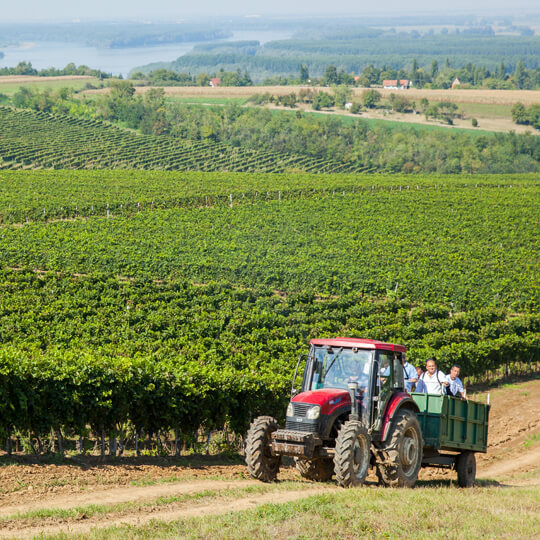 The favorable geographic position, quality of soil, vicinity of the Danube River and reflection of the sunrays from the Danube’s surface make the grapes here ripen earlier and hold 1-2% more sugar, as compared to other winemaking regions of Vojvodina. The enthusiasm, grand vision and primarily the affection towards wine and vineyards have enticed the vinery’s founders to launch their winemaking story, while all the aforesaid made them do it in precisely in Banoštor. This is why in 2006 they have purchased and leased the area of 110ha of vineyards in the village, where there were already 46ha of grape-bearing vineyards with Chardonnay, Italian Riesling, Pinot Blanc and Župljanka varieties. With the assistance and cooperation of renowned enologists and viticulturists it was already the following year that they erected additional 13.5 ha of vineyard under Pinot Noir and 12 ha under Sauvignon Blanc and Traminer Aromatico, which yield top-quality grapes especially in the Fruška Gora Mountain. In 2009 the Merlot variety was planted on 8.5 ha. The areas which are not currently under vineyards (30ha) are undergoing preparation for planting of new grape varieties, which will complete the wine offer and give our enologists an opportunity to create new top brands by a careful selection and blending. In the very village of Banoštor, the wine cellar with the capacity of 50,000 liters and barrique cellar with the capacity of 11,000 liter oak barrels were refurbished in 2009, and upgraded to the capacity of 170,000 liters in 2010 and to current 300,000 liters in 2016 by purchase of new stainless steel tanks. The cellar now disposes with the most up-to-date equipment for production and nurturing of wine, while the winery takes special pride in its Bucher inert gas press and a modern laboratory for a comprehensive analysis of grapes and wine. Fermentation and aging of wine takes place in stainless steel vessels, whereas red wines age in oak barrels (barrique). Additional improvement of technology and increase of vinery’s capacity to 500,000 liters is currently in progress, and it assumes construction of barrique cellar with the capacity of 50,000 liters. The development plan envisages further multiple increases of cellar capacities over the following couple of years, so as to enable processing of the entire harvest from the vinery’s current 80ha of vineyards and future plantations in its own facilities. It is due to the favorable geographical position, specific microclimate and the sunray reflection phenomenon, but primarily the knowledge and dedication that our vinery has managed to produce wines of recognizable taste with pronounced characteristics of the Fruška Gora terroir. In June 2010 there were three white wines launched on the market: Chardonnay, Italian Riesling and Pinot Blanc. As of 2011, the offer has been enhanced by the following wines: red wine Pinot Noir – Barrique, white wine of Traminer variety and white wine of Sauvignon Blanc variety. 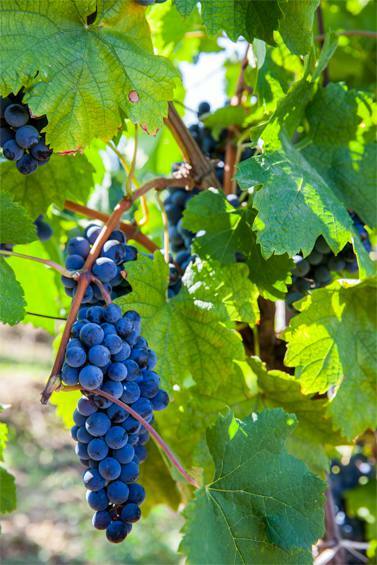 Since the 2012 harvest, the vinery initiated production of the red wine Merlot – Barrique, while the 2014 harvest saw the launch of rose wines from Pinot Noir and Merlot varieties. At the launching of the 2015 harvest, the famous Flying Winemaker, Mr. Thierry Haberer from the winemaking world’s most prestigious consultancy firm Rolland Conseils et Prestations has promoted officially the new product in our vinery’s palette: Merlot Barrique 18+. 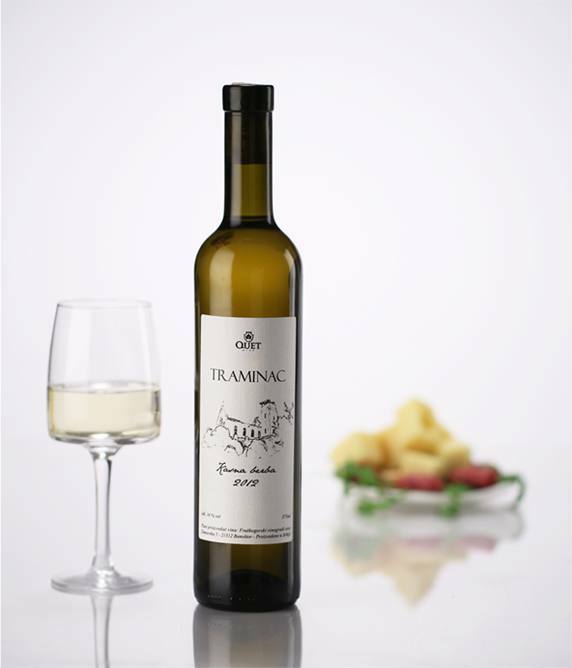 The winery takes special pride in its natural sweet wine produced from late harvest of Traminer variety, which is being produced since 2011, provided the favorable weather conditions. Production of wine from this sort of grapes is extremely complex. Nevertheless, our enologists have found motivation in remarkably favorable response of the market and professional circles, which are usually prone to criticism. This wine has won first prizes and prestigious awards at all competitions it entered. In addition to the quality of wine, great dedication is invested also into the selection of packaging, assuming top-quality corks – that are responsible for preservation of quality of the bottled wine; bottles – the unique shape and color of which make them distinguishable on the domestic market; and labels – which appeal to all wine aficionados by their simplicity and elegance. In 2016, the Fruškogorski vinogradi vinery has launched a new top-quality wine series – Fruškać. This group of products encompasses Fruškać White, Fruškać Red and Fruškać Rosé. It is the wine that holds the most favorable quality-price ratio in the territory of Serbia and its neighboring countries. The motto Just Let Yourself Be Surprised speaks a lot about this wine. The response of the domestic market to the offered wines, as well as the requests from abroad, have exceeded the expectations, which is why an almost exponential growth in sales is expected in 2016, 2017 and 2018. At the moment, the Fruškogorski vinogradi wines are being exported not only into the neighboring countries, but also to PR China, Russian Federation and the USA. 1. Expansion of vineyards and procurement of equipment for increase in production capacities up to the level of the annual production and sales of approximately 1 million bottles (midterm plan). project of boosting of production of organic and authentic products in Banoštor and its neighborhood, in support of the tourist offer of the area. 3.Research and development – establishment of a reference research centre for the entire Fruška Gora region. This assumes erection of collection vineyard and construction of facilities within the vineyard to host a laboratory, microvinification plant and wine tasting room with research archives.